Aside from protecting your smile, dental care ensures good oral and overall health. Several studies suggest that oral diseases, such as periodontitis (gum disease), can affect other areas of your body — including your heart. Understanding and choosing dental coverage will help protect you and your family from the high cost of dental disease and surgery. 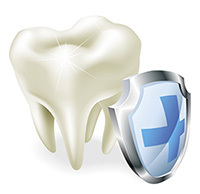 Because dental coverage typically focuses on preventive care, Class I services are covered at the highest percentage. Class II services are then covered at a slightly lower percentage, followed by Class III services, which are covered at the lowest level. For example, if a plan follows an "100-80-50" structure, Class I services are covered at 100 percent, Class II at 80 percent and Class III at 50 percent.